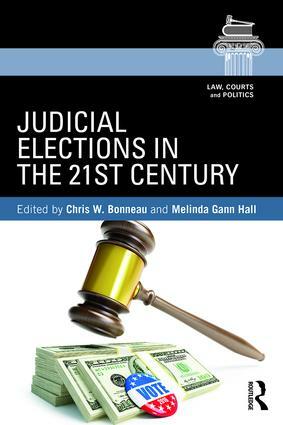 JUDICIAL ELECTIONS IN THE 21ST CENTURY, by Chris W. Bonneau and Melinda Gann Hall (eds.). New York: Routledge, 2017. 282pp. Paperback $47.95. ISBN: 978-1-138-18589-0. Reviewed by David Hughes, Department of Political Science & Public Administration, Auburn University at Montgomery. Email: david.hughes@aum.edu. Save for the early efforts of pioneers like Philip Dubois and Melinda Gann Hall, it is unclear when public law would have begun taking state courts seriously. Perhaps it was inevitable, however, that the shifting tone of judicial elections from the late 1980s to the early 2000s was destined to get people’s attention. 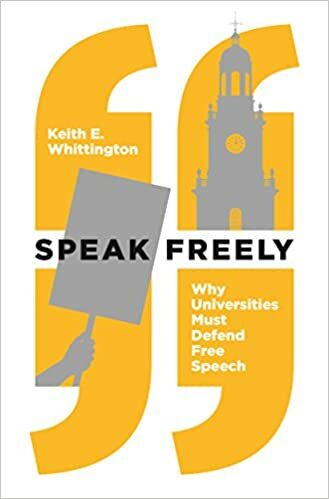 Rising campaign costs, biting televised attack ads, and a liberalized speech environment left many in the legal community—and not a few political scientists—concerned that vigorous campaigns would undermine judicial impartiality or legitimacy. In 2007, largely in response to the evolving nature of judicial elections, Matthew J. Streb organized the first major anthology devoted to these themes, RUNNING FOR JUDGE: THE RISING POLITICAL, FINANCIAL, AND LEGAL STAKES OF JUDICIAL ELECTIONS. Its contributions reflected the deep sense of ambivalence many felt toward judicial elections at that time. More than a decade has passed since Streb’s text, and the volume of scholarly research on state courts has grown exponentially. Significant new theoretical, methodological, and empirical advances have been made in a remarkably short time, and these advances justify reflection on what we have learned during this span and what research questions still demand our attention. JUDICIAL ELECTIONS IN THE 21ST CENTURY, edited by Chris W. Bonneau and Melinda Gann Hall, helps to fill this void. It picks up where RUNNING FOR JUDGE (2007) left off: How have judicial elections affected the politics of the judiciary since the turn of the century? For long-time observers of judicial elections, its themes will ring familiar: How do expensive campaigns affect judicial selection and legitimacy? How independent, diverse, or representative are state judges? How do these factors vary within the judicial hierarchy? Much of the research in JUDICIAL ELECTIONS reflects how our understanding of these institutions has changed in recent years. Many of the concerns raised by judicial reform advocates in favor of eliminating judicial elections have simply not stood up to empirical scrutiny. For example, Michael Nelson reminds us that judicial elections are often legitimacy enhancing; Melinda Gann Hall and Matthew J. Zalewski show how campaign advertising has diminished in recent years, even taking on a more positive tone; and Drew Noble Lanier and Mark S. Hurwitz reveal that elected courts produce benches that are, on average, no less diverse than appointed ones. Other examples abound. 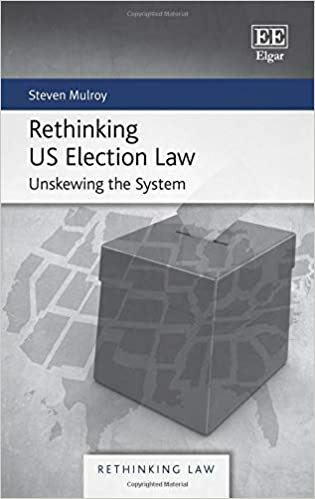 The contributions to JUDICIAL ELECTIONS are, as the editors explain in their introductory chapter, largely original, accessible to a general audience, evidence-based, and written by many of the field’s leading scholars. One might expect that a collected work such as this would find its authors returning to the themes with which they are already associated in the scholarly literature. And while readers might anticipate some of the hypotheses, data, or findings based upon their familiarity with these previous works, no such familiarity is needed as each chapter presents new, interesting, and accessible information.